Another one of my favorite take-out go-to’s is Chinese food. As we’ve discussed, it can be a pain on both the wallet and the waistline to order in take-out all the time. I enjoy finding alternatives to favorite meals that are usually healthier and often more delicious. 1. 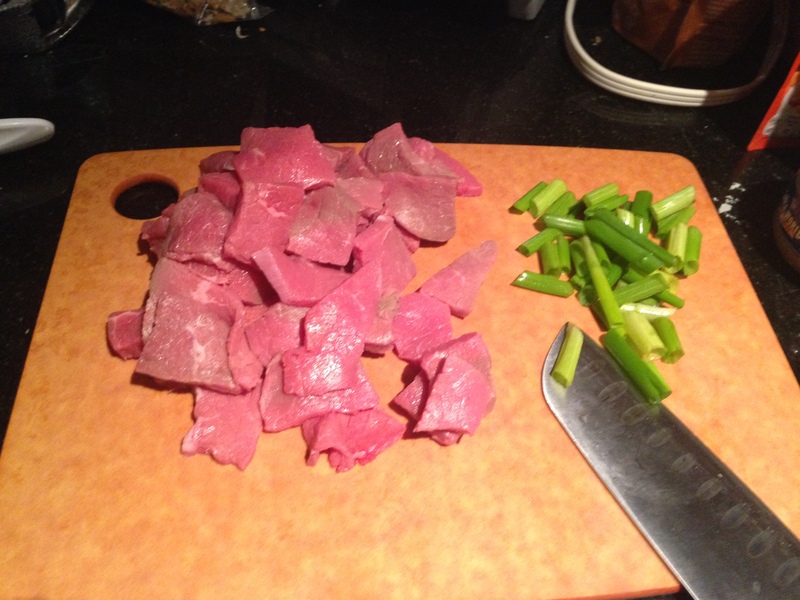 Cut steak into bite-size pieces and chop onion in preparation. 2. Heat a large nonstick skillet over medium-high heat. Coat pan with cooking spray. 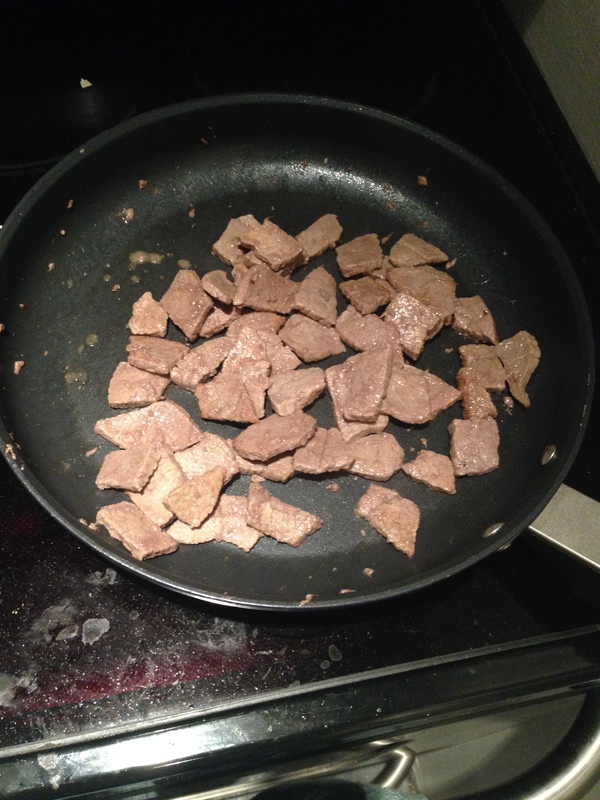 Cook steak in pan over medium-high heat until browned, stirring occasionally. 3. 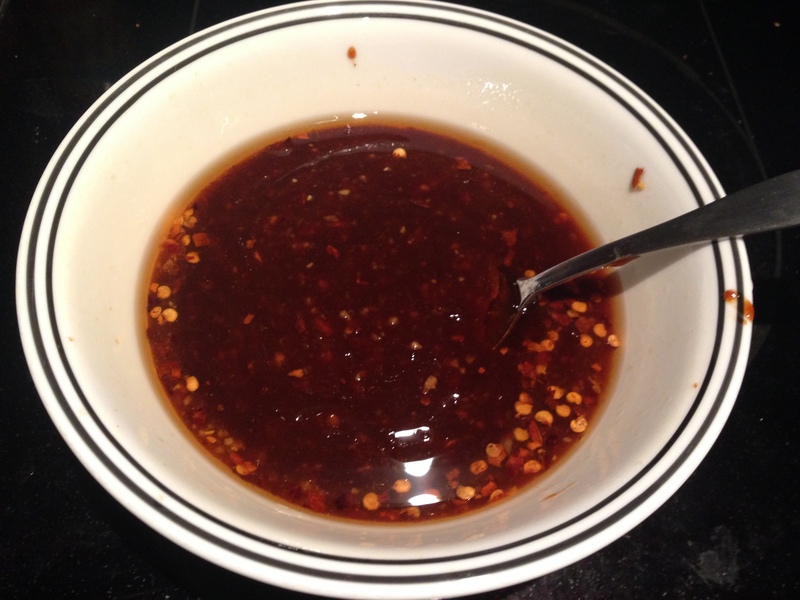 While steak cooks, combine hoisin sauce, water, ginger, garlic, sesame oil, and crushed red pepper in a small bowl. 4. Once steak is cooked through but not too ‘well done’, pour in the sauce and the snap peas into the pan and mix together. 5. Serve over rice and enjoy! This is definitely a lighter, healthier version than you’d find at the Chinese take-out place. The sauce is SUPER delish, too. Add a little extra hoisin for sweetness and adjust the red pepper for your preferred level of spicy. The best steak to use is flank steak. It is often the most expensive in the meat counter and, depending on your grocery store, they may not even carry it. 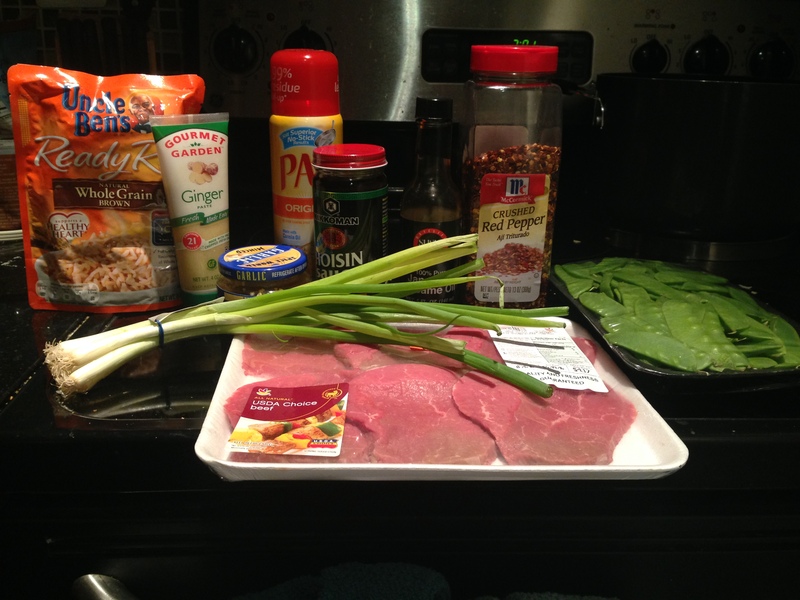 Alternatives are skirt steak or “London Broil”. You can really use any cut of steak you’d like, but make sure it’s not too too fatty, or else you’ll get a lot of grease in the pan and it’ll affect the flavor. Just make sure it’s a thin cut of meat. 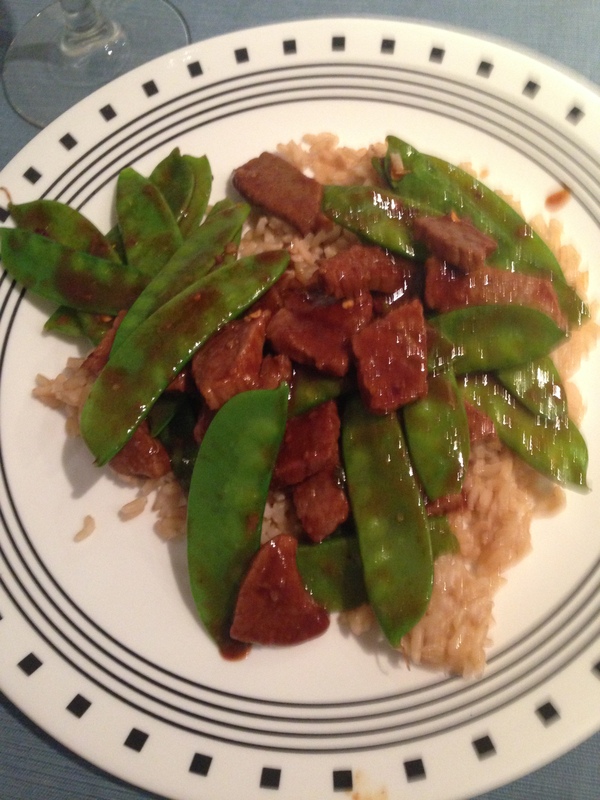 I love using the snap peas as the vegetable in this one. They add a nice crunch to each bite.